We are excited that you are looking for the best in skin care close to Olive Hill, Tennessee. Award-winning Acacia Dermatology features Board Certified skin care experts Dr. Robert Chen, MD, PhD and Lacey McCauley, PA-C. Skin cancers are the most common kinds of cancers in men and women. One person dies of melanoma every hour. To raise awareness we are proud to offer free skin cancer screenings for you and your family. We care for babies, kids, adults, and the elderly, using the latest advances in medical, surgical, and laser treatments. Are you interested in cosmetic products and treatments? Acacia offers Botox, Juvederm, chemical peels, leg vein therapy & facial rejuvenation. Please click here for our latest specials. There is absolutely no charge for in-office cosmetic consultations! Acacia Dermatology accepts virtually all health insurance plans offered in Tennessee & Alabama. Simply call us to verify. 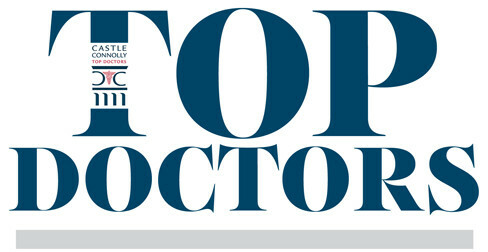 Dr. Robert Chen named Top Regional Doctor in Dermatology by Castle Connolly.